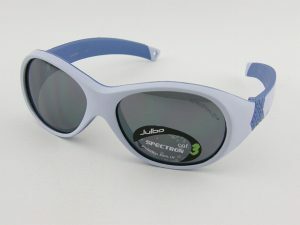 A leader in sun protection for young wearers, Julbo continues its commitment to provide children with top-class protection from the damaging effects of the sun. 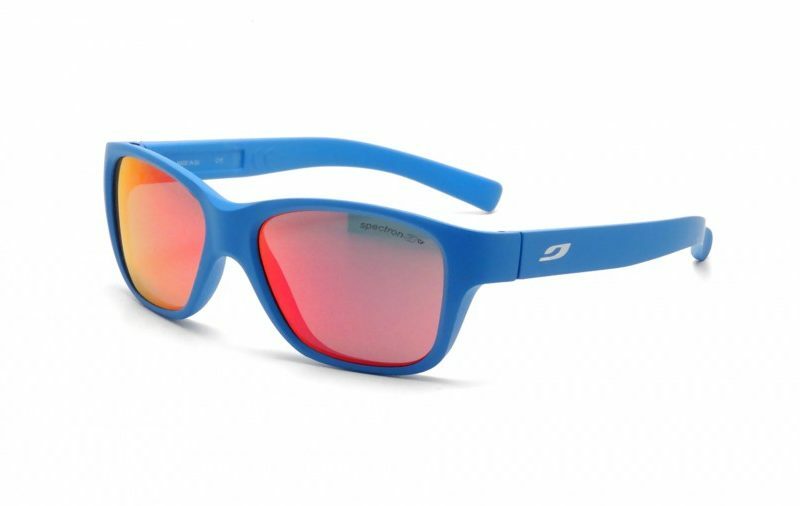 But we also believe that Junior sunglasses should provide much more than sun protection, even if it is the best. This is why we also ensure our frames offer maximum comfort, hold and toughness. Without forgetting the issue of style, because they may be young but never too young to care about their look. With its "diamond" shaped fronts that play with the light, Naomi is a great fashion sunglass for girls built with all the quality that says Julbo. This sunglass provides real protection for young eyes and has stylish curved temples to keep them securely in place and large lenses for charm and provide maximum coverage. With the name that says it all, the Looping can be turned any way they choose: the frame is reversible and has no hinges. The wrap around, ergonomic profile guarantees optimal coverage and comfort for all little head shapes. With curved temples and a flat elastic strap, they also offer perfect hold. 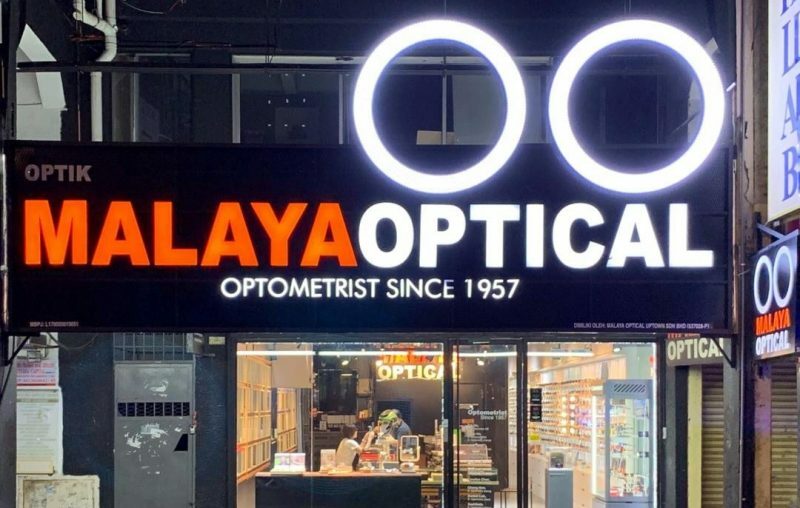 Reversible frame, no hinges, wrap around, ergonomic profile, curved temples, flat elastic strap… the Looping’s best to explore the world while being protected from the sun in all conditions with these pair of sunglasses available at Malaya Optical in Damansara Uptown and Subang SS15! Now Available in Malaysia! The Booba gives great support for little ones gaining their freedom but who still need lots of protection! 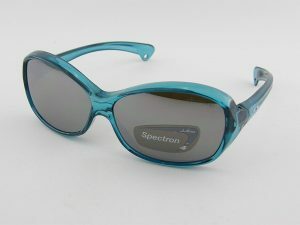 The wraparound shape and wide temples provide an effective barrier to the sun's rays. The double injection frame gives optimum comfort with a super-soft fi nish for the part in contact with the face. The temple profile and curved ends hold the frame securely on the ears. 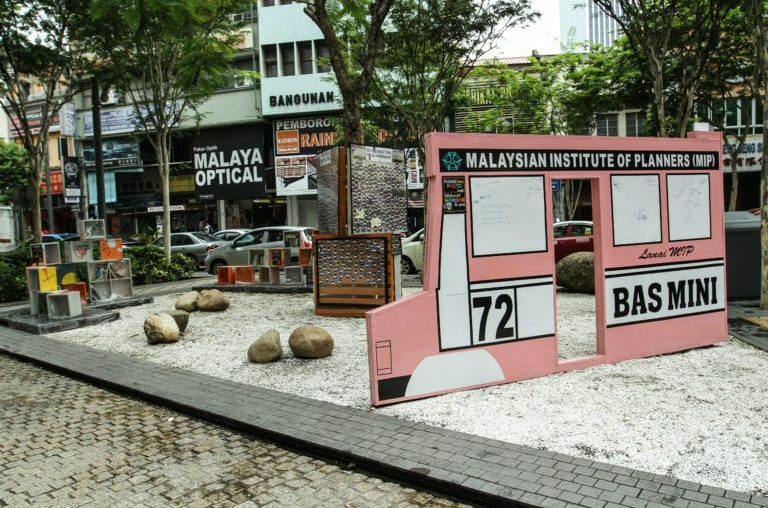 KUALA LUMPUR: Urbanites who use public transport or used to will remember this part of the city well. 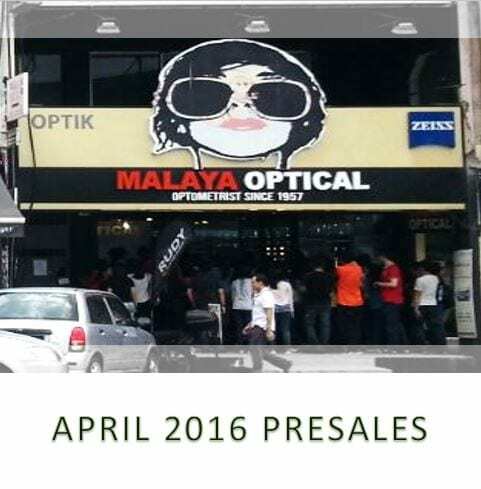 Malaya Optical is having its April 2016 pre-sales of recent. 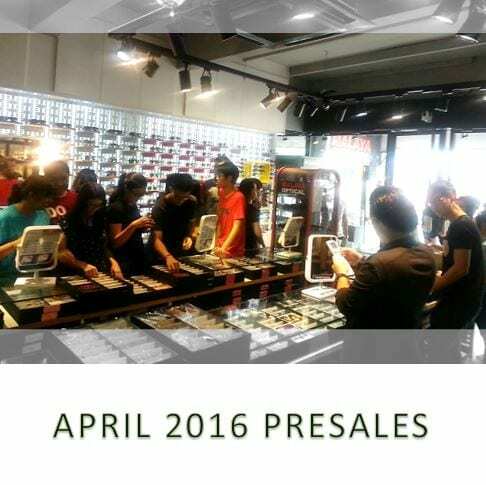 The promotion period is extended throughout the month of April. AHA, Andy Wolf, Benetton, Bevel, Blac, Blackfin, Boz, Burberry, Byblos, BYWP, Charmant, CK, Coach, Derapage, Derek Lam, Eco, Emporio Armani, Face Fonts, Ferragamo, Frank Custom, Frank Kids, Free Form Green, Fysh, GF Ferre, Giorgio Armani, Givenchy, Gotti, Guess, HausMarke, Hiari, Hugo Boss, Hugo Boss, JF Rey, Julio, Julio Junior, Kayzz, KS Pro, Lacoste, Lafont, Lafont Kids, Legger, Less Than Human, Levis, Logines, Lookid, Lotto, Louis Cardin Round, Manish Aurora, Markus T, Maui Jim, Max Mara, Michael Kors, Mini Cooper, Mito, Mkenies, Moschino, Moscot, Mykita, N Star, Nike, Nova, Oakley, Oxibis, Parasite, Perfect Number, Perfect Number, Polaroid, Porsche, Prodesign, Progear, Progear Sport, Ray Ban, Ray Ban Junior, Romeo Gigili, Rudy Project, Rye & Lye, Salt, Sama, Seesun, Spivvy, Staffan Preutz, Starck, Steeper, Super, Superdry, Syun, T.Lamborghini, TagHeuer, Tailor Hitch, Tom Ford, Tommy Hilfiger, Tous, Try Change, Undostrial, Victor & Rolf, Vintage Classic, Whiteout, Wolfgang Proksch, WooW, Zoobug Kids, Zottes and many more. 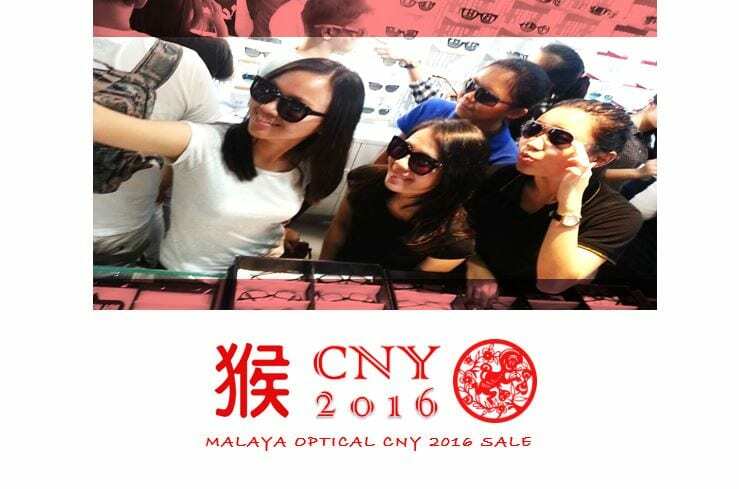 Visit Malaya Optical for the whole month of April to get something different! 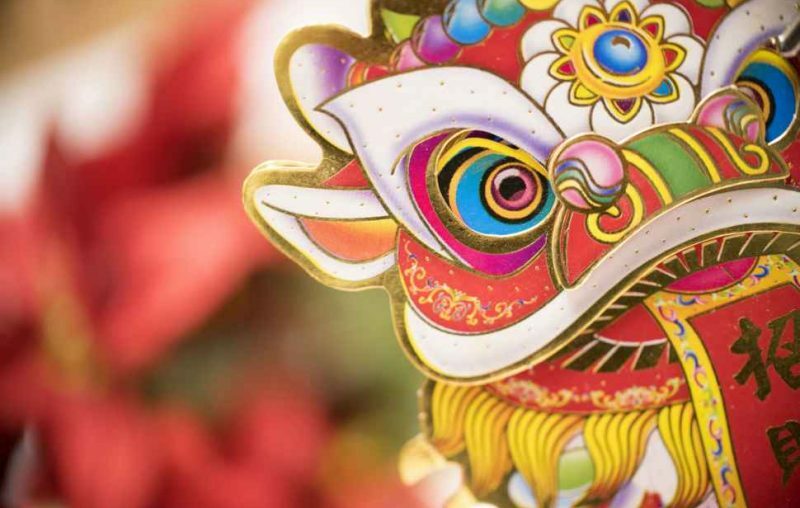 The lunar new year for 2016 falls on the 8th of February, predominantly celebrated by the Chinese across the world. The fire monkey reigns and it constantly breath fiery wind to every point and nook on earth, making it a red year. 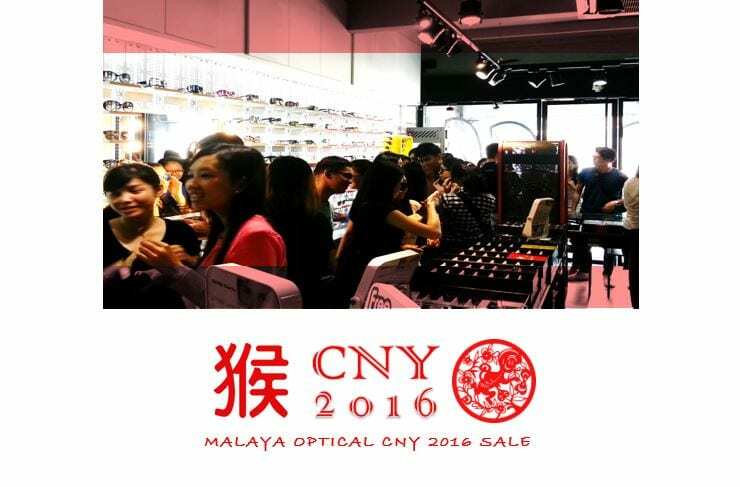 At Malaya Optical, we kick-started January 2016 with the launch of the Malaya Optical CNY 2016 Sale. 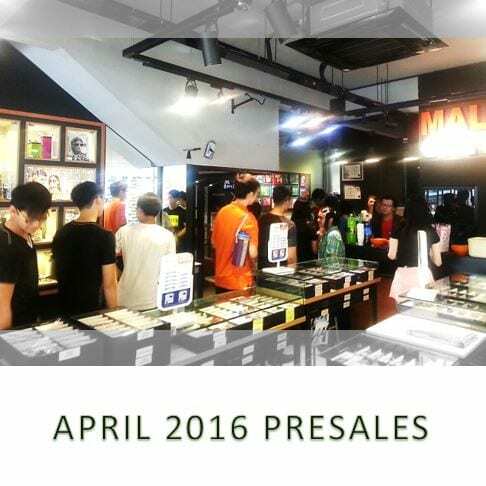 As usual, our regulars, supporters and friends packed our flagship store in the early morning. 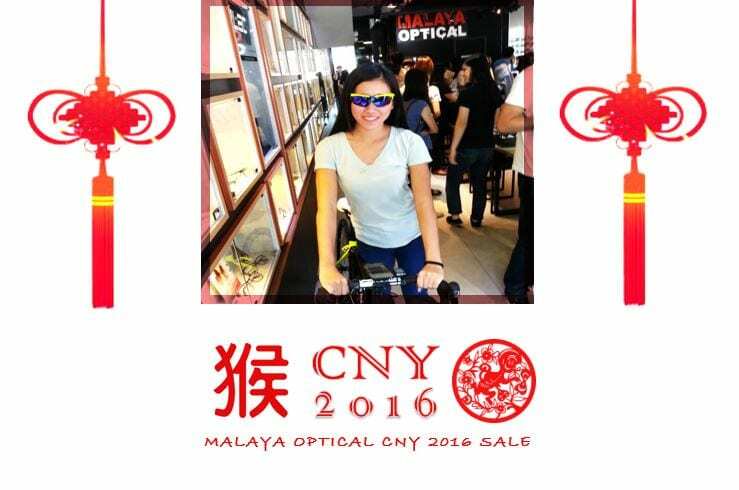 This year, we are offering a wider range of discounts for our designer and branded prescription frames/sunglasses, including new arrivals. 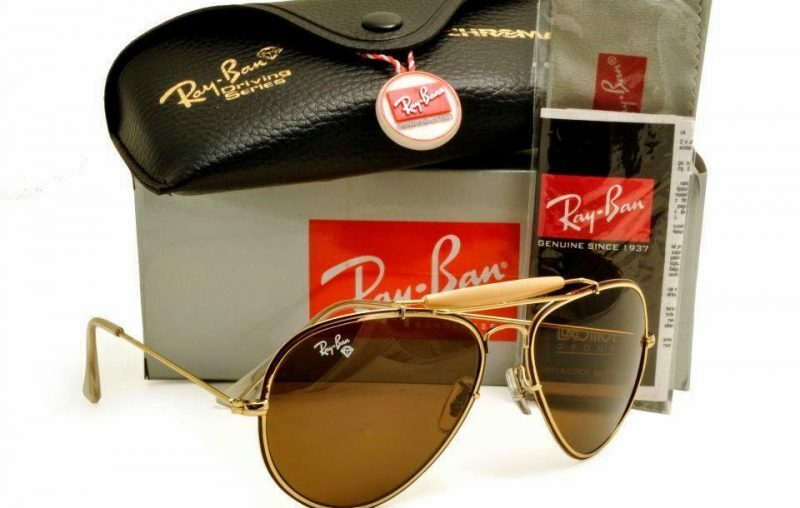 Our star products would be Rudy Project, Oakley and Rayban! The crowd started to swell at about 11am and it continued on until lunch hour. 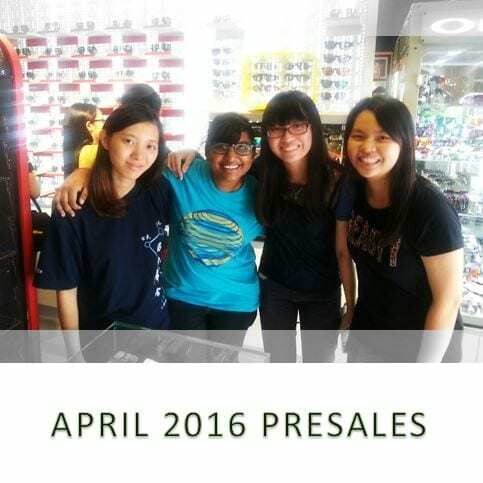 Our dedicated optometrist and fashion consultants worked hard to serve the influx of eager buyers wanting to be part of our launching sale. 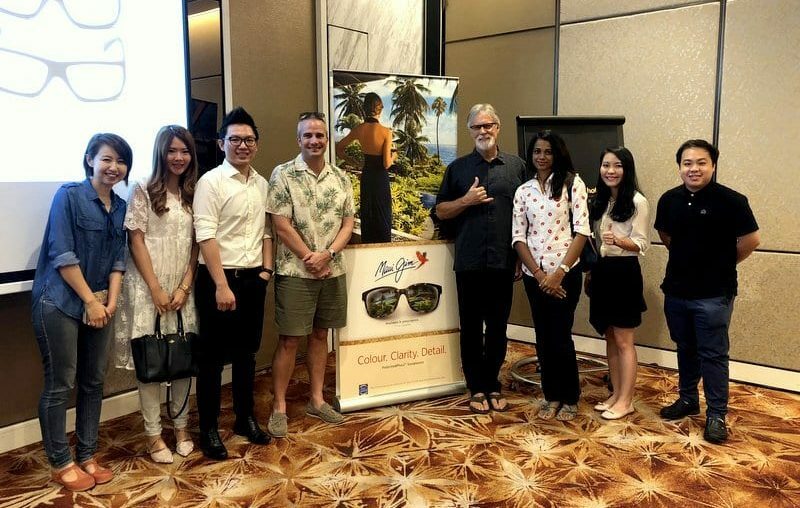 The highlights went on from the classy Rayban to the chic Oakley. It was a massive selfie galore with much looks to render and have fun with. 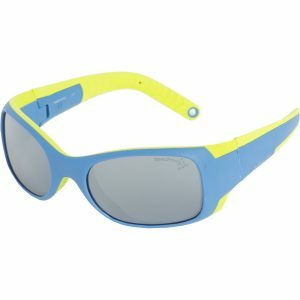 The biggie came from our Rudy Project range. With the best popular color range for you to try/choose from, you'll be spoilt! 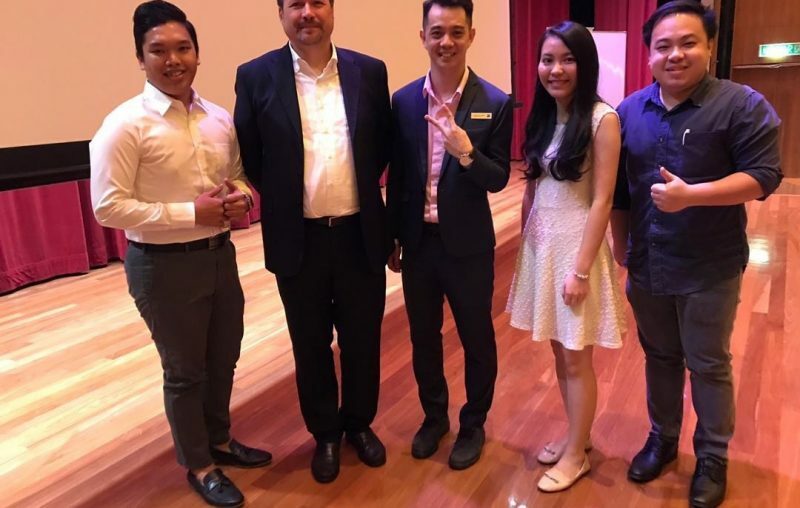 One of our customers took a selfie with this Yellow Fluo pairing. 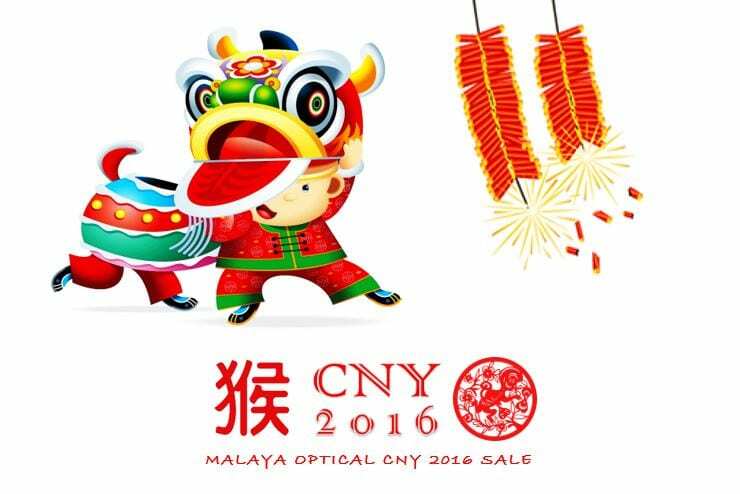 Don't miss our CNY sale! 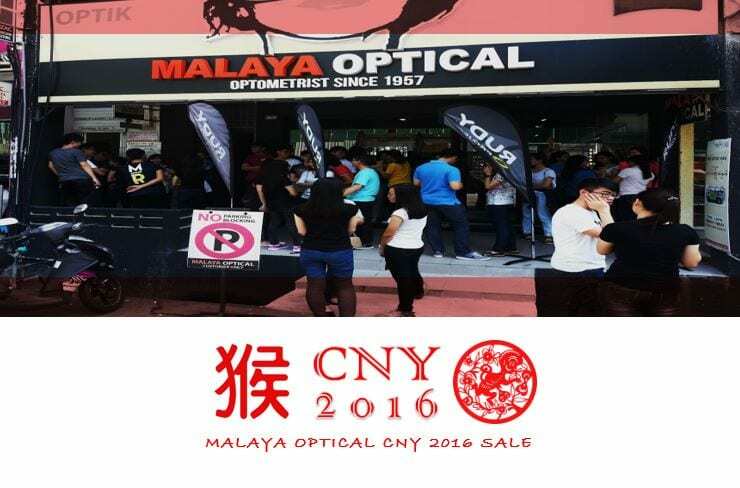 Come over to Malaya Optical here. 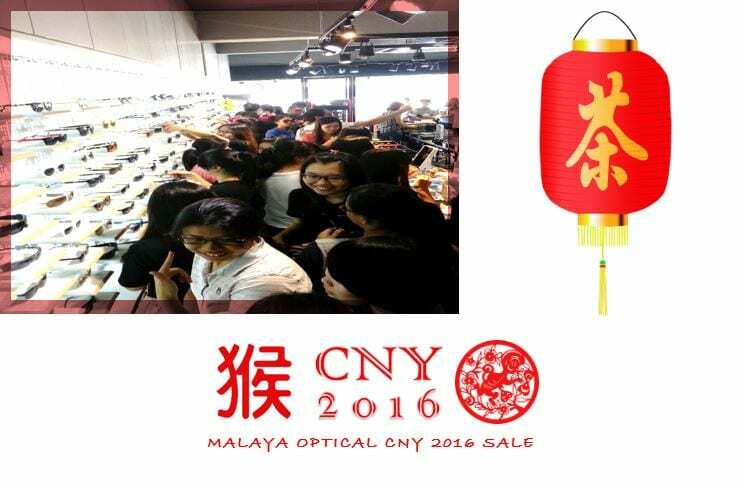 Nak dijadikan cerita, Malaya Optical Malaysia telah terpilih untuk memiliki STAR account from Luxottica.